Gloria Daliego lives in the village of Estrella, San Guillermo, in the Philippines. She is 41 years old and the group leader of a 13-member group loan. While each member of the group receives an individual loan, they are all collectively responsible for paying back the loans of their fellow group members if someone is delinquent or defaults. Gloria is married and has 4 school-aged children. She owns and operates a farming business, planting and harvesting a variety of vegetables for sale. Gloria has been engaged in her business for over 10 years and earns approximately 4,000 PHP a month from it. In 2009, Gloria asked a microfinance loan to help improve her living situation and ability to engage in business activities. Gloria has successfully repaid a previous loan of 5,000 PHP, which was used to purchase additional seeds, seedlings and young crops to raise. Gloria is requesting a new loan of 8,000 PHP which will again be used to purchase additional seeds, seedlings and young crops to raise. She plans to use the additional revenue generated from the business to improve/expand her business. As part of our newest loans, concentrating on entrepreneurs active in the agricultural sector, we allocated $50 to Gloria’s group. Armen Hovhannisyan lives in Armenia, in a village called “Lchashen” with his parents, his wife and two children. Armen has been a farmer for about 15 years. 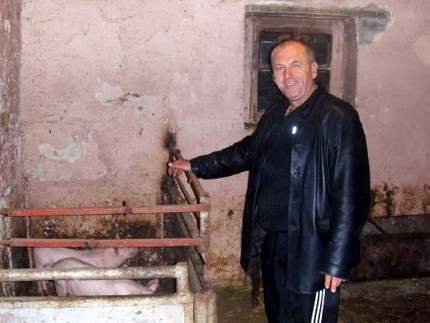 In his farm he has cows, sheep, pigs, and chickens. Armen’s wife helps him in farming, so they support their family, develop their farm and pay for their children’s education at university. He asked for a loan of 1,000,000 AMD (USD$ 2,800) to buy potato seedlings, which he will plant next spring. Armen Hovhannisyan is one of the 31 new loans we have issued to Kiva this week. In this tranche, we slightly deviated from our usual emphasize on women, but concentrated on entrepreneurs working in groups, and lenders working in agriculture. In the course of the past two years, Our Kiva team has now allocated over 1,000 microfinance loans, for a total value of US$39,500. Check our score card for the details! 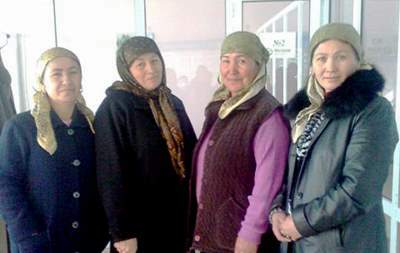 Of the microfinance loans I have allocated to people in 36 countries, 90% were women. 37% of the loans went to people working in the agricultural sector, 26% works in retail (smaller shops) and 21% worked in food processing and food trade. Tamara Hovannisyan lives in Horom, in the Shirak region of Armenia. She is married with three children 14, 19 and 21 years old. Tamara has been a self-employed farmer for the past 20 years. In addition to supporting the education of her children, she also provides her brother’s family with agricultural produce grown on her farm. 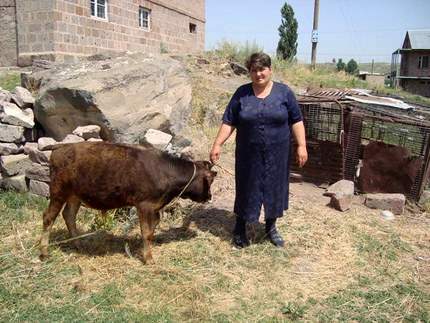 She has a dream of renovating her house and establishing a small shop to support her family, so she took a loan to purchase fuel and cattle feed to increase her small livestock business. If successful, she expects her income to increase by 25%. As per our usual choice, all selected entrepreneurs are either women, or women’s groups. This batch concentrated mostly on loans for active farmers.